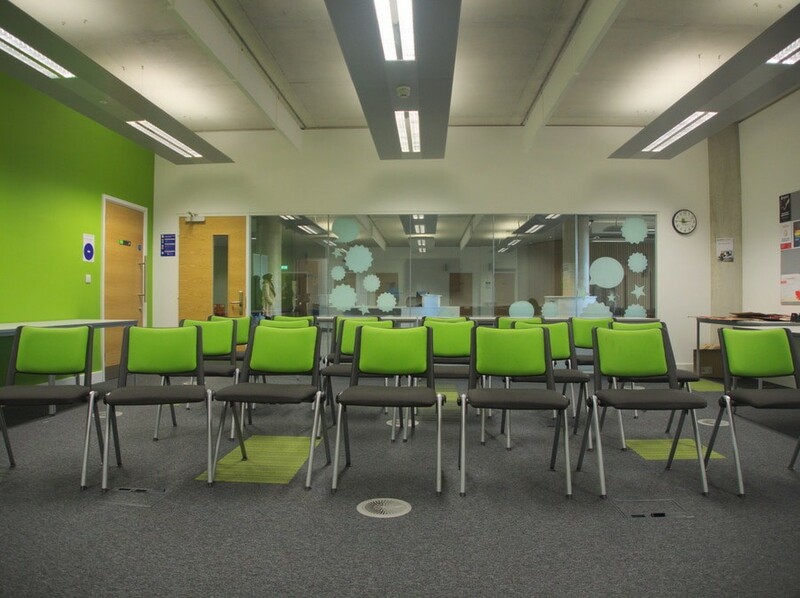 David Hockney Building's Ground Floor Room 19 is our Students' Union Hub. 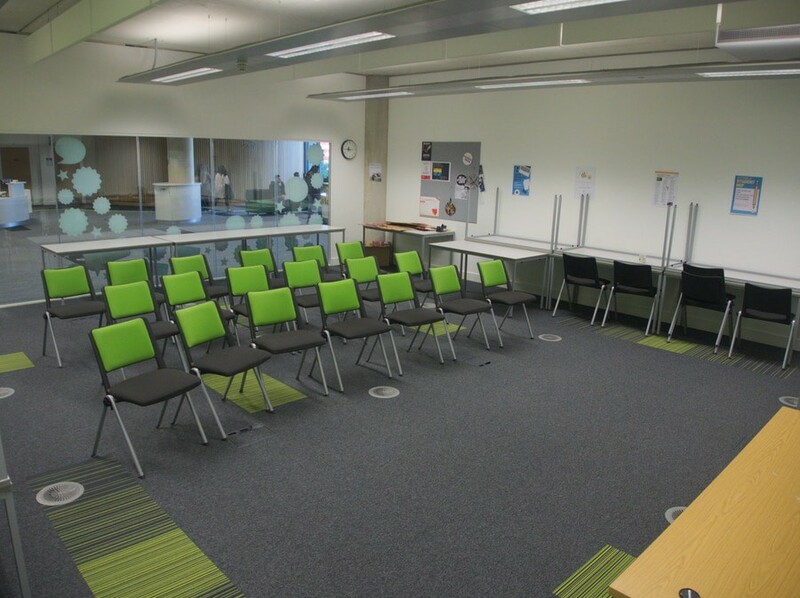 Just around the corner from our Room 13 office and accessible to any student with a College ID badge, this room is available for use by clubs, societies, activities, and for one off events within College. It holds or seats up to 25 people. 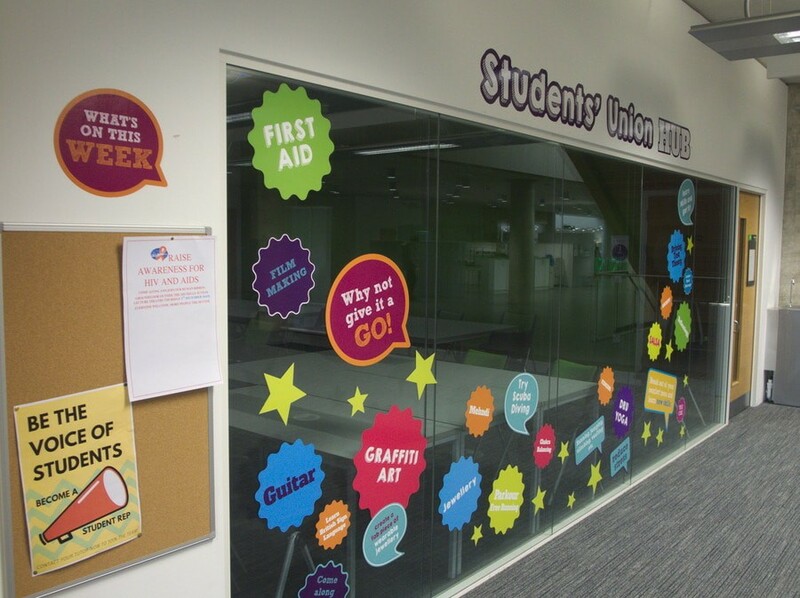 Booking through the Students' Union is essential. Contact Rachel Mills or Sarah Townson to make a booking. 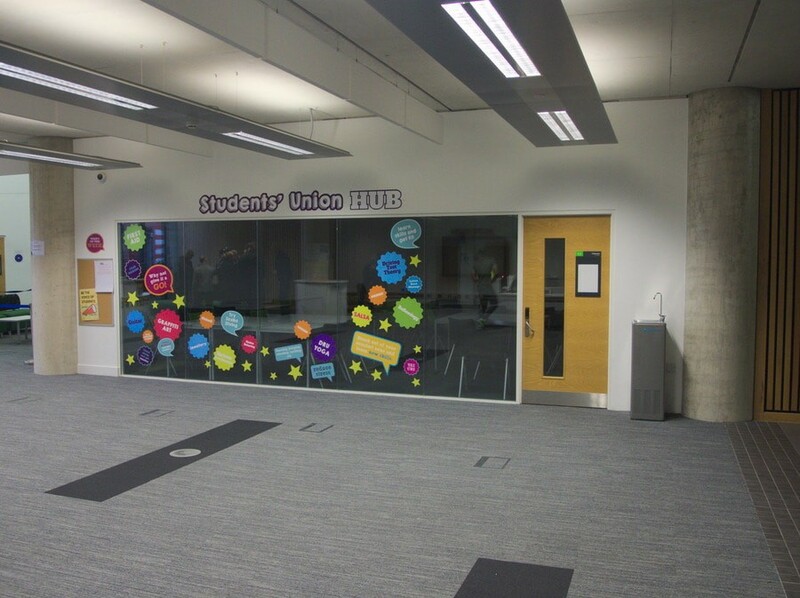 The SU Hub is situated under the stairs in the David Hockney Building off Randall Well Street / Carlton Street. 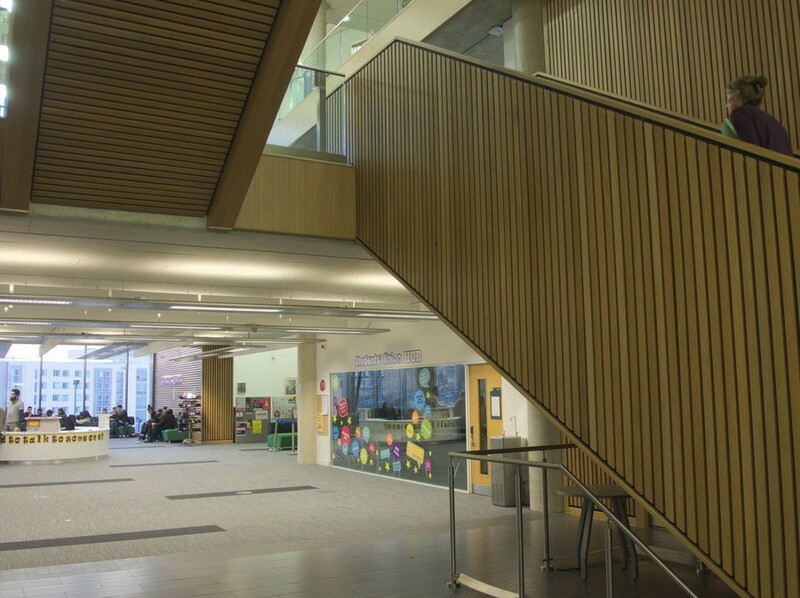 Near the ESOL area, GF.19 is close to the cafés, toilets, printers, a water fountain, the Unity prayer/reflection spaces, and the goods lift. We'll try and put up a What's On This Week guide on the notice board outside. College staff can check availability of the room in the S.Union Outlook calendar. 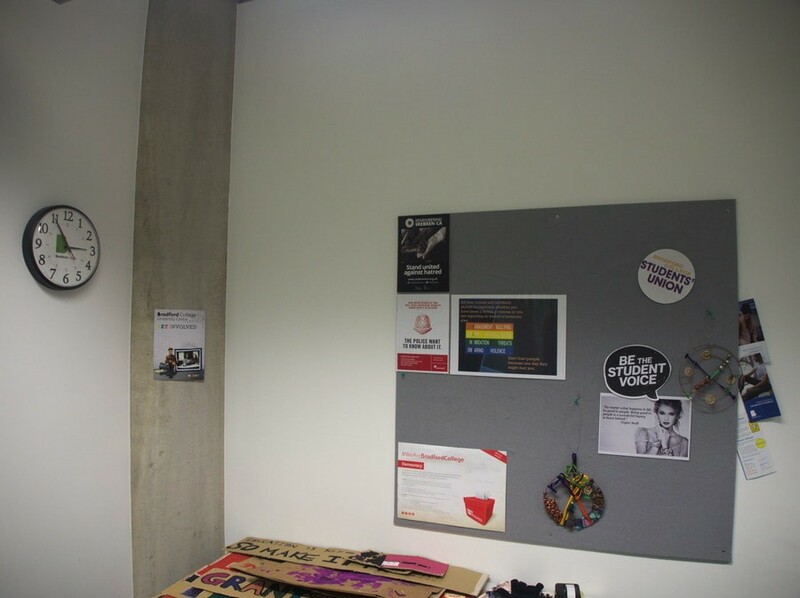 We have a noticeboard and a clock for all your display and timing needs. 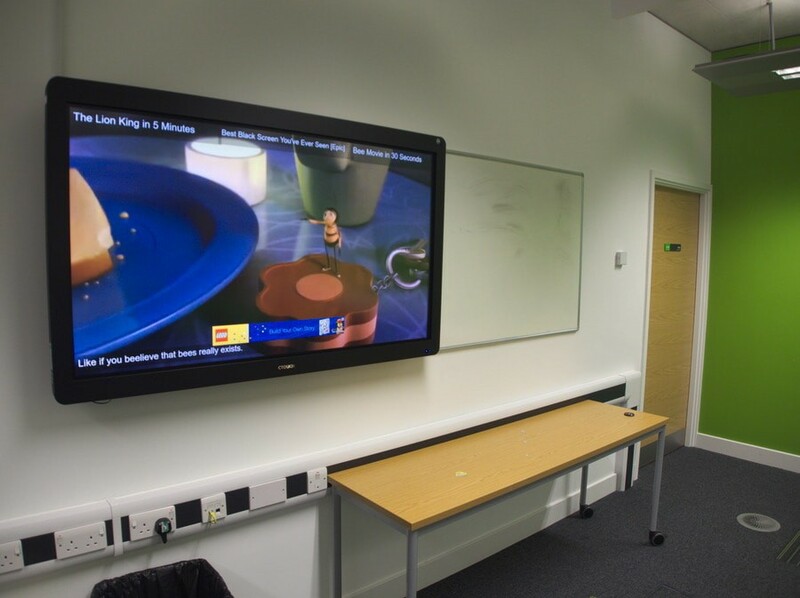 ...plus a large touchscreen/cinema display and whiteboard. A Windows 10 laptop with DVD drive, plus full inputs and connectors for anything else you want to show. 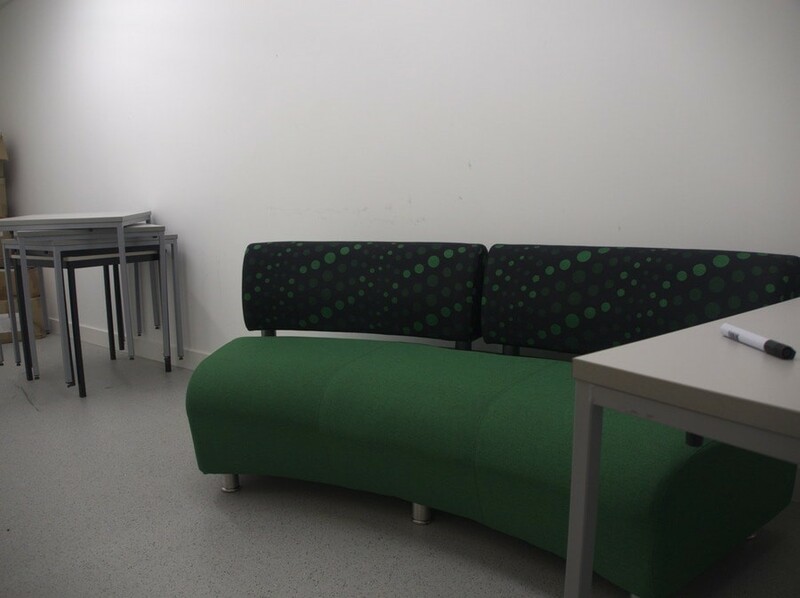 The rear storage cupboard can be used as a private "green room" for trainers and presenters if needed. 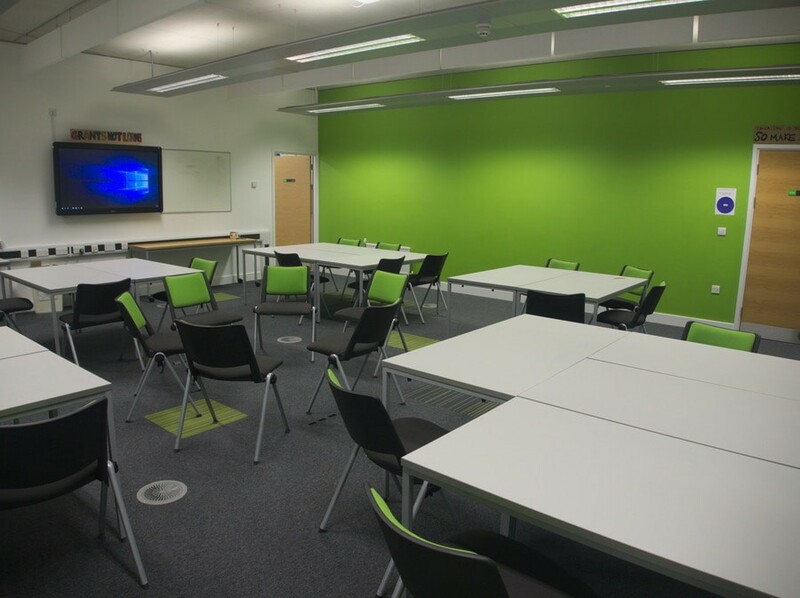 GF19's standard layout is usually set up workshop style for group work and meetings. If you move the tables around please put them back how you found them. 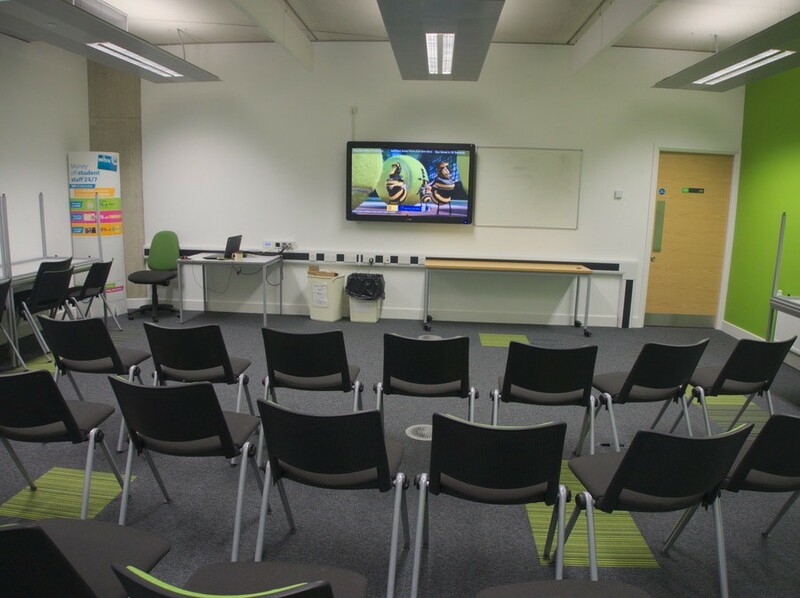 By moving the tables to the side a large open space can be created for activities or movie viewings. The display and sound are bright and clear. GF19 also comes with a bin and a paper/card bin. 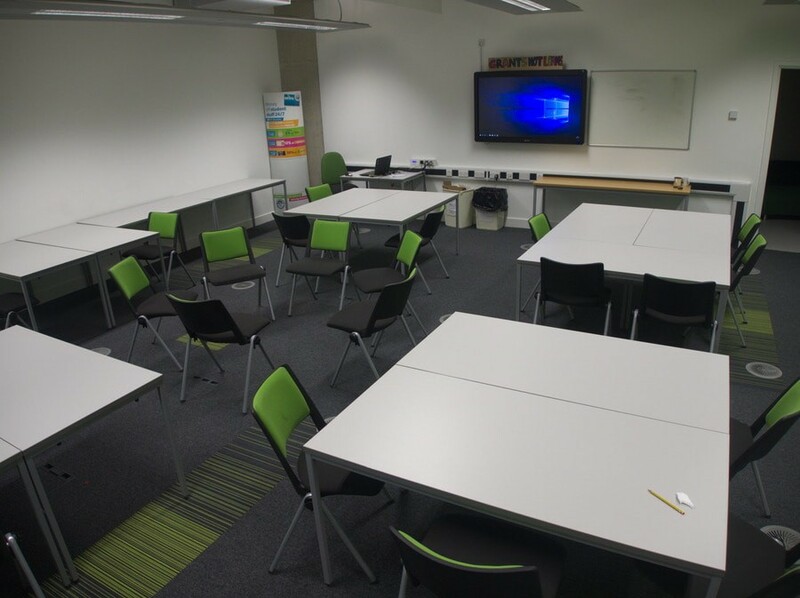 Please leave the room as you find it - it's the Students' Union that have to keep this room tidy so you and other groups can continue to use it. GF19 can occasionally hold more than 25 people, but the room will quickly become stuffy and hot unless the door is open. Chairs can be stacked in piles of 5-10 to create a more open space.